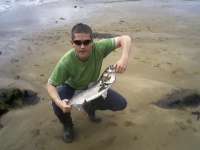 fished today with david and jake from 5.00 - 10.00pm. Float fished for the first two hours, nothing happening so decided to fish the bottom. 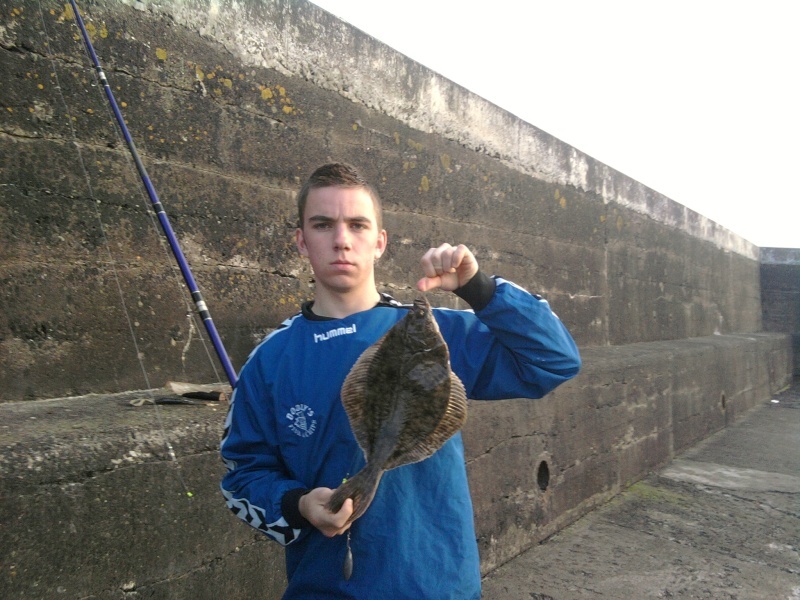 Managed a nice flounder of about 3lb and lost another, missed a few bites aswel. David and jake got a coaly each. 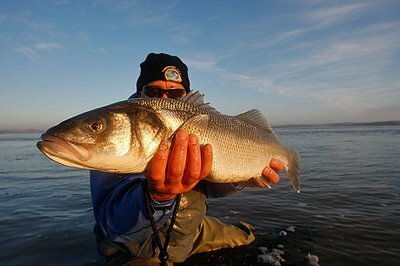 just a tip some times you are better of not naming the spot you were fishing just say Tramore area bet numbers will turn up to fish the pier and take all large and small. 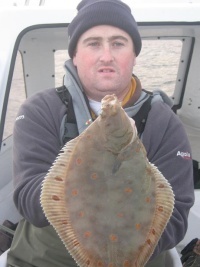 nice lads thats a good flounder lets hope a few more like that start showing up. 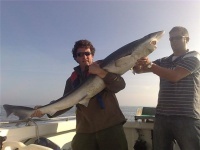 myself and david fished a rock mark today and tried for pollock dogs and conger, fished 3hours and not a bite. Bit too early i would imagine?